If you are planning an outdoor wedding, you need to take steps to mosquitoes away from the venue. Mosquitoes are notorious outdoor wedding crashers that can potentially ruin the whole wedding experience. No one likes to smack away pesky mosquitoes during wedding ceremonies and you would not want your guests to return home with mosquito-borne illness. You need to ensure your guests enjoy the wedding and food and not mosquitoes feasting on your guests in your outdoor wedding. 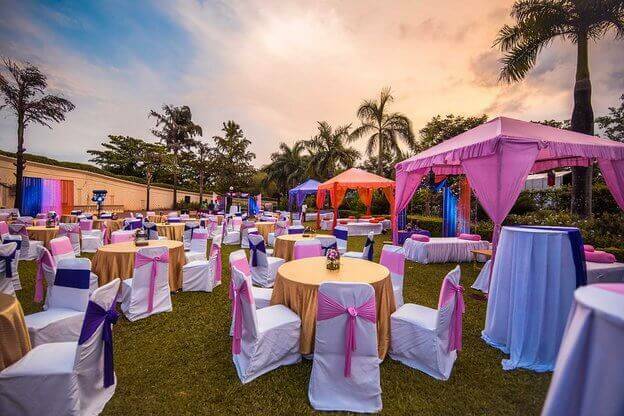 Here are some effective ways to keep mosquitoes at bay at your outdoor wedding. According to Singapore pest control experts, mosquito repellent creams and sprays are highly effective and can be used to keep mosquitoes at bay and will help you protect your guests from mosquitoes. Ingredients in these products interferes with chemical receptor cells in mosquito’s antenna. This prevents the mosquito from detecting traces of lactic acid that are secreted by the skin on warm blooded animals. This results is mosquitoes not invading your wedding venue and will look in other places to find their prey. Do you know citronella is one of the common ingredients in mosquito repellents? Citronella is extracted from citronella plants which can be placed around the wedding venue. You can ask the wedding decorator to include some mosquito repellent plants and flowers in the decoration to keep bugs away. Some of the flowers that are natural mosquito repellents and also look good in decoration are horsemint, Ageratum, Marigold, and many more. By placing these plants and flowers in and around the wedding venue, you can prevent mosquitoes from invading your wedding and trouble your guests. Mosquitoes are most active at dawn and dusk and you should take additional if have planned an outdoor wedding. The mosquito control service providers are trained and experienced to make wedding and party venues mosquito frees before the event. Professionals will use environmentally safe chemicals to get rid of mosquitoes. Depending on the venue, they can use the highly effective synthetic option or all natural organic option for mosquito control. Basic safety measures includes spraying of chemicals and repellents at the site two to three days prior wedding that kills mosquitoes and also destroys their larvae. One good thing about mosquito control is it is highly effective in keeping the wedding venue free of mosquitoes and other pests as well. Unlike other mosquito control methods, it is not messy and it allows the guests to enjoy the wedding to the fullest. You need to take mosquito control seriously and give it equal importance as other wedding preparations. After all, you would want guests to be smitten by love and not bitten by mosquitoes.